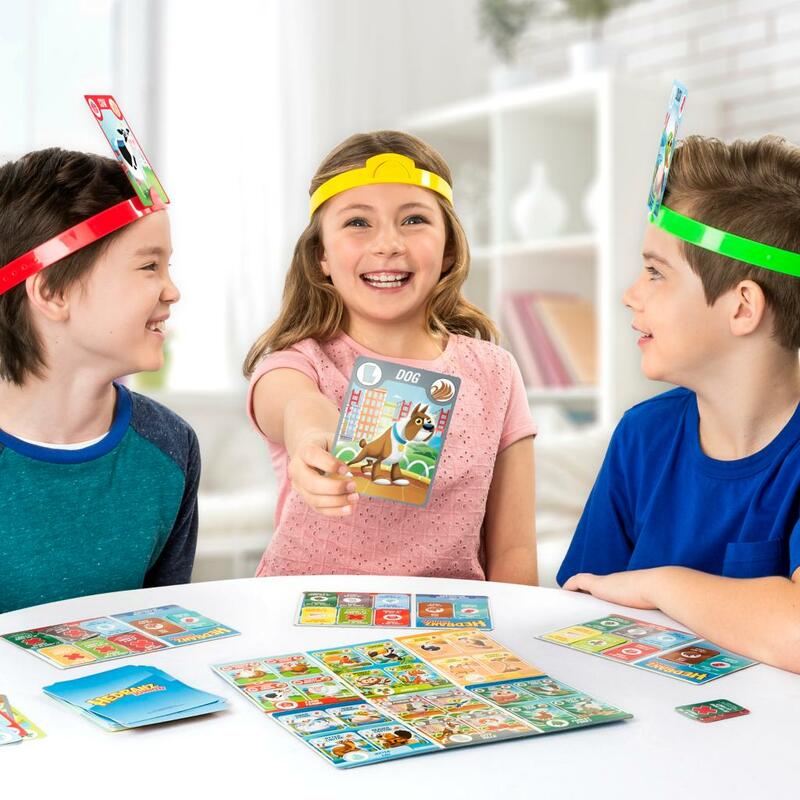 Home > Games > HedBanz Jr. 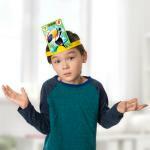 Kids get their own version of the hilarious quick question game with HedBanz Jr.! 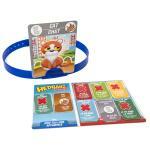 Fast-paced and goofy, this animal-themed party game is sure to get the giggles going. 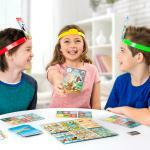 The fun begins when players select a card from the deck and stick it in their headband. 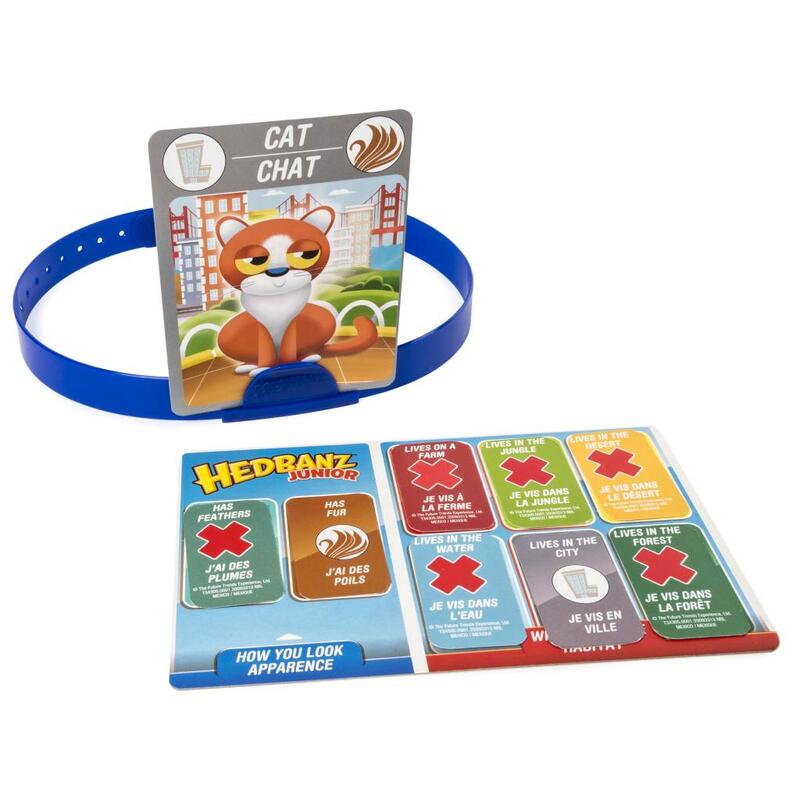 Each player takes turns asking “yes” or “no” questions to figure out the answer to the big question: “What animal am I?” To help players along, clue cards narrow down the choices. 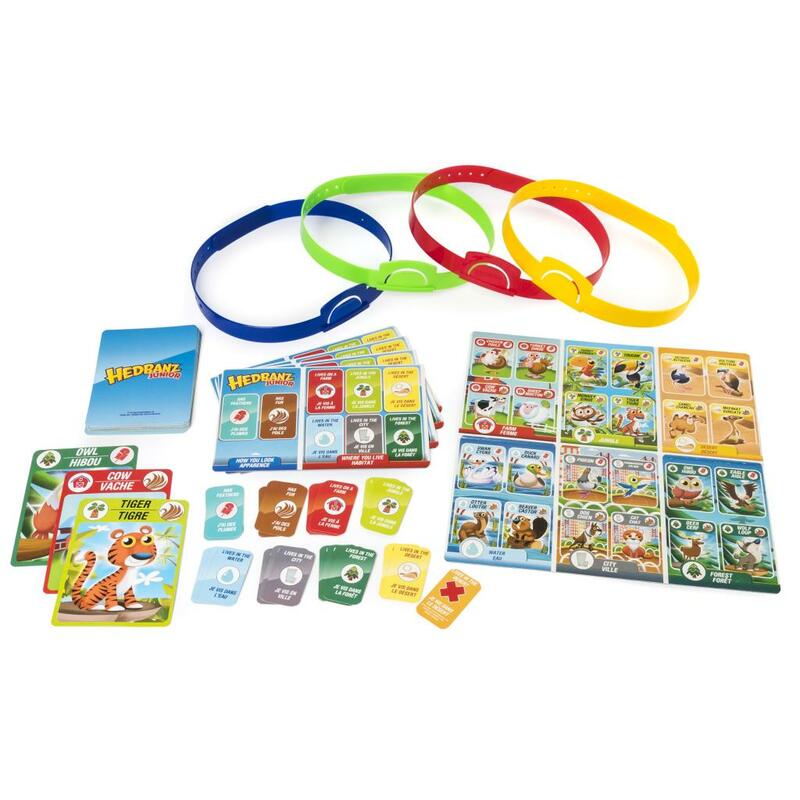 First player to guess correctly wins! 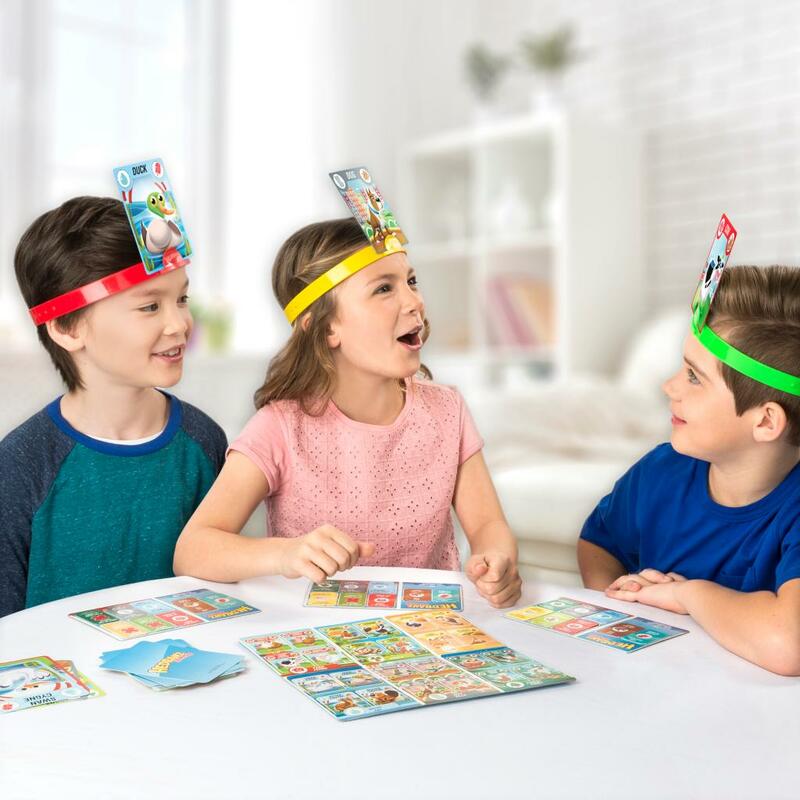 Perfect for kids’ parties and family events, HedBanz Jr. brings the excitement of Hedbanz to younger players! Keep your kids guessing with HedBanz Jr.! 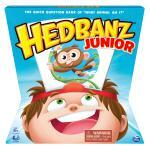 Younger kids can now join in the excitement with HedBanz Jr.! 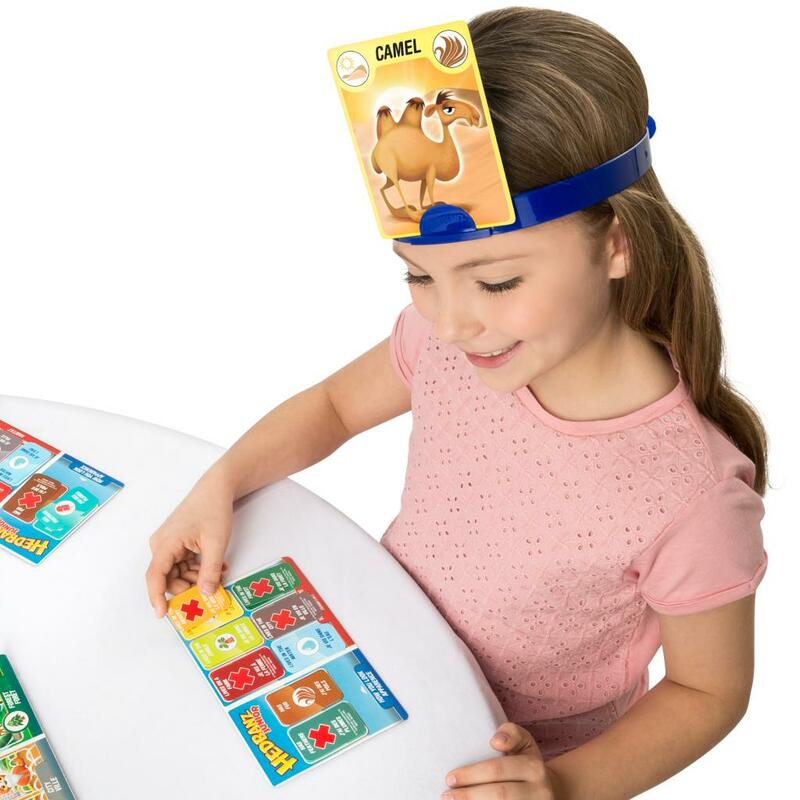 With an animal theme, the hilarious quick question game of “What animal am I?” is available for players age 5+. You never know what you are until you start asking questions! 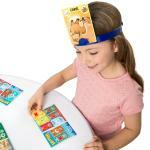 Players grab a head band and card, then ask “yes” or “no” questions to figure out what animal they are! 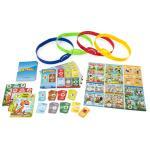 For a little help, kids can turn to the clue cards and mats to narrow down their choices. 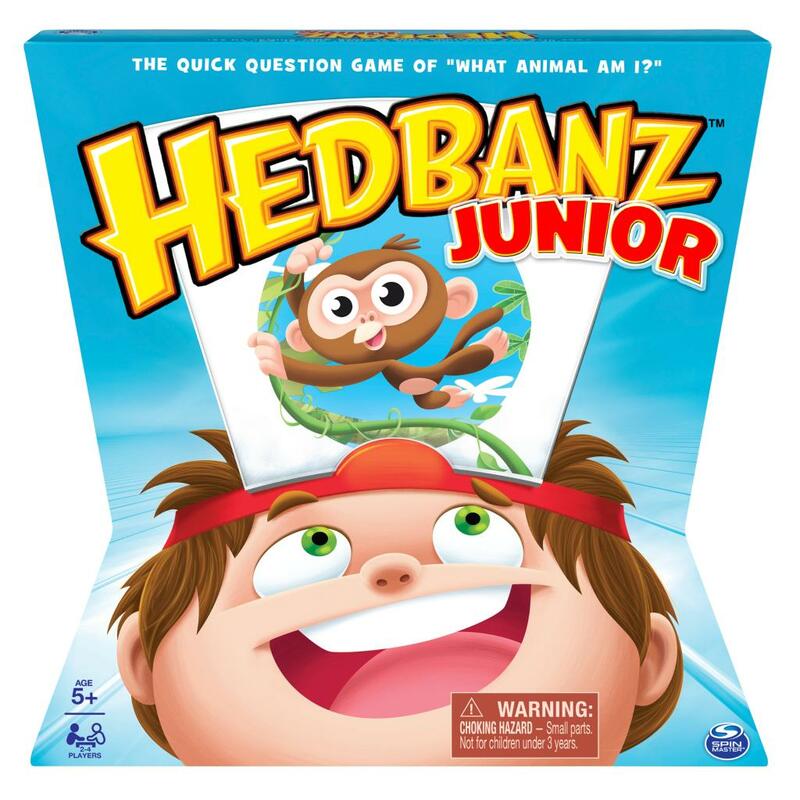 Hedbanz Jr. is for 2-4 players.